Vandy Vape Bonza Kit is a compact and portable pen-style vape kit, including Bonza Mechanical Mod and Bonza V1.5 RDA. 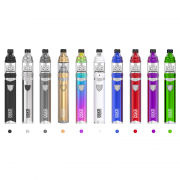 It is compatible with single 18650/20700/21700 battery. Each mech mod has an individually number. The Bonza adopts interchangeable sleeve system for customization and logo alignment. Magnetic button and spring button are available, meeting your preference. The Bonza utilizes pure copper to conduct electricity that can reduce internal loss. With the insulator ring and the insulator tube, it can ensure safety. Bonza V1.5 RDA comes with improved build deck and advanced airflow system, bringing you amazing vaping experience with intense clouds and flavors. ❤ Please read the user manual carefully before using this Vandy Vape Bonza Kit. 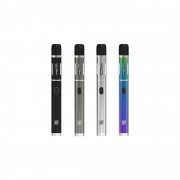 ☞ 6 months warranty period for Vandy Vape Bonza Kit.